In 2012 Ian Anderson released Thick As A Brick 2, the follow-up to Jethro Tull’s legendary concept album. The album was a critical and commercial success, charting around the world. 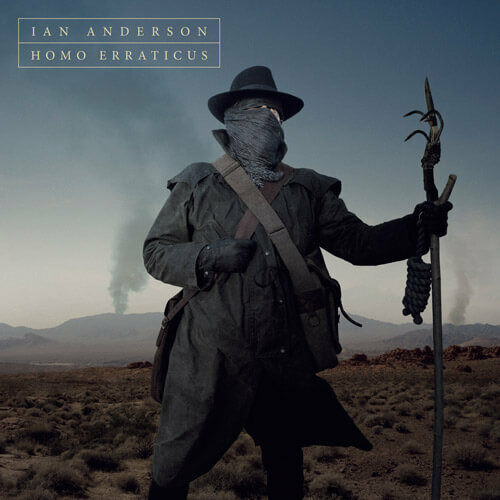 In April he returns with Homo Erraticus, his new studio album. The original Thick As A Brick album, released in 1972, was based around the poem of disgraced child prodigy Gerald Bostock. For Homo Erraticus Anderson is reunited with Bostock, using lyrics written by Gerald based on an old historical manuscript. The manuscript examines key events from throughout British history before going on to offer a number of prophecies for the future. Suitably dramatised and exaggerated by Bostock as metaphors for modern life, he presented Anderson with ideas for 14 songs, which have now been set to music. The result is Homo Erraticus. The album will be released on Anderson’s own Calliandra Records label in conjunction with Kscope on April 14th. Following the release of this “Jethro Tull” (in all but name) album, Ian and his band will be embarking on an extensive UK tour, where they will play the album in its entirety followed by a selection of Tull classics. These shows will be followed by further tours in Europe, America and more later in the year.